Because I arrived early at Christie's party at the West End Bar on Broadway, near Colombia U, I got to see the auctioneer's representative take the sacred scroll out of a strongbox, hold it up with one hand on each silvery handle as if it were a torah and then unscroll it, laying a length of it in a lit showcase for the guests to inspect it. The fact that someone would pay 2.43 million dollars for this manuscript a night later would come as no surprise to me. Neither would it come as a surprise to the New York Times, which, in an editorial two days afterwards, would describe the typescript of On the Road as a "manifesto." Back in 1982, I myself had characterized the book as the equivalent of a manifesto nailed to the door of culture. Not only has On the Road changed my own life, but it also has changed the lives of millions of others and it continues to do so around the world. Published in 1957, On the Road resulted in a seismic upheaval both in American letters and in American lifestyles and the book continues to set off cultural reverberations as far away as China. Jack himself was well aware that he had accomplished something significant in his non-stop marathon, a 20-day rat-a-tat-tat-tat at the typewriter keys fueled, by coffee. And not, according to Kerouac scholar Gerry Nicosia, by pot and Benzedrine. According to Gerry, Jack called it a "roll," not a 'scroll." I myself don't remember whether Jack called it one thing or the other. He had pasted together 12-foot-long sheets of semi-translucent architectural paper into a 119 feet and eight inches-long roll he could feed into his typewriter so the need to keep putting fresh sheets into the roller wouldn't interrupt his flow of thoughts. 'they're going to write biographies about me, aren't they?? heartily share. Jack had no love for academicians, either. Hadn't he written a popular novel that thumbed its nose at academia's very precepts? And yet, Jack could foresee a posthumous future in which academicians would pore over every smudge on his manuscript, in which he told his tale in a single paragraph, so rushed was he to gush out his story. From that conversation and from the way he had showed me his nickel notebooks, rubber-banded together and neatly stacked in piles in his dresser drawer---'that's a novel and that's a novel and that's a novel," he had said as he proudly pointed a finger at each rubber-banded pile---I could tell he meant to have his papers scrutinized by future scholars. He longed for and anticipated eternal fame. Which made me feel that Jack would be offended to see his treasured manuscript placed on the auction block, where it would be chopped away from the scrutiny of future literary historians. Not to mention that, like Van Gogh, who is said to have sold only one of his paintings during his lifetime (paintings that eventually went for millions), Jack would feel sickened, cheated and violated because he was never able to spend even a dime of the 2.43 million that this typescript would bring. Yes, I felt the sale of the On the Road manuscript was an affront to Jack and so I, too, felt offended. When I said so to his literary agent, Sterling Lord, Sterling replied that the impending auction offended him as well. Sterling had once been my agent, too. 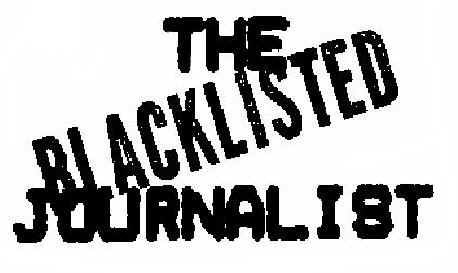 But I never finished writing the Beat book I was supposed to deliver to the publisher to whom he had sold it---a book I now call The Beat Papers of Al Aronowitz and which I am now serializing on THE BLACKLISTED JOURNALIST website. And which now includes this very article you are reading. I hadn't seen Sterling since my failure to deliver that manuscript and there he was at this party with his beautiful wife Meg, who is some years his junior. He's now 80 but, except for his whitening hair, he looked very much the same as he had always looked. Sterling told me that even John Sampas, whom I've come to consider the main man in charge of Jack's estate, felt offended by the auction. So offended that he refused to attend this party. John is a brother of the late Stella Sampas, Jack's third wife, whom Jack widowed. nearby---?it was Tony who insisted they had to sell it to pay the taxes on the estate. The federal government finally woke up to the fact that the estate is worth a lot of money and the feds wanted their share." Tony Sampas, like John Sampas, is one of the inheritors of Stella Stampas? estate, which also includes Jack's estate. From Pepperell, Massachusetts, Tony inherited his share of the estate from an uncle, the late Anthony G. Sampatacus, another of Stella's brothers, who, according to detractors, once raked in about $1,500 a week as one of the most important bookies in Lowell, Massachusetts. Still another of Stella's brothers was the late Nicky Sampatacus, who had earned his living in Lowell by running what was described by people who went there as a "bottomless? strip joint. The sister of Jack's boyhood idol, Sebastian Sampas, who died in the fighting in Europe during World War II, Stella inherited Jack's estate from M?m're, for whom Stella had continued to take care of from the time Jack drank himself to death until M?m're's own demise. M?m're's will gave it all to Stella, but Jack's daughter, the late Jan Kerouac, initiated a lawsuit claiming M?m're's will had been forged. As Jan's literary executor, Nicosia continued to press the lawsuit after Jan's death. The author of Home to War, Nicosia also wrote the acclaimed Kerouac biography, Memory Babe. But the Sampas family then came up with Jan's first husband, whom she had married when she was 16 and whom she divorced a few years later. As one of Jan's inheritors, he fired Nicosia, an act Nicosia contested until the dismissal was upheld by a split decision of an appellate court. However, Paul Blake, Jack's nephew at last report was trying to get Jan's lawsuit reinstated. 'stella was a nursemaid and a professional laundress," Nicosia commented. 'she spoke English poorly and was probably incapable of being a forger. Her brothers, who had been running what might be called "unsavory" businesses for years, were much more capable in that regard. As for the feds awaking to the fact that the estate was worth money, that's pure horseshit. The federal government knew the worth of the Kerouac estate since well before Jan died in 1996. In fact, Jan died owing something like $50,000 in back taxes which the IRS was chasing her for. She had started collecting half of Jack's royalties in 1985. Moreover, in 1994 I was told by a document collector named Norm Davis and a high-end San Francisco dealer Tommy Goldwasser that the manuscript roll was being offered privately for one million dollars. Tony Sampas the elder was still alive and there were no hypothetical 'tax problems? then. A couple of years later, a librarian at the New York Public Library told me the reason they couldn't purchase the manuscript roll was because the Sampases wanted at least a million dollars for it---again, no death or no tax problems were involved at that time." From the start, much enmity arose between Stella's inheritors and that part of the Beat community gathered around them on one the hand and Nicosia, Jan Kerouac and their sympathizers on the other. As part of this feud, the taped interviews Nicosia'd recorded during his research for Memory Babe---he'd put them in the possession of the Massachusetts University Library in Lowell---were suppressed. I thought the ugly fight did nothing but contribute negativity to and detract from Jack's writings, his fame, his cause and his memory. And so I took a neutral position, inviting both sides to contribute pieces explaining their arguments to be printed in THE BLACKLISTED JOURNALIST while exhorting them to reach a settlement. 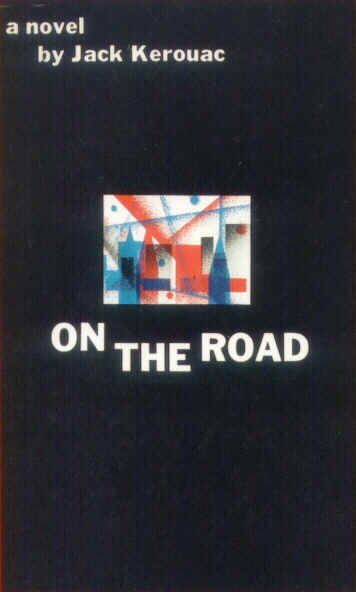 As I understood him, all Nicosia wanted was for events like the auction sale of the On the Road scroll never to happen. He feared that Stella's inheritors were going to sell off Jack's papers piecemeal rather than enshrine them in a library, where scholars can study them, something he says they have already been doing. It's a known fact that the Sampases sold Jack's raincoat to movie star Johnny Depp some years ago. also is the attorney for the Sampases. Afterwards, George refused to talk to me any more and when I asked John Sampas for an interview, he never replied. Unencumbered by literary credentials, the Sampas family is obviously more concerned with the monetary worth of Jack's papers than they are with their academic value. Jack signed the letter with his John Hancock-like signature but he died before he could divorce Stella. In her lawsuit claiming M?m're's signature on the will was forged, Jan said that one of the witnesses to M?m're's signature swears he wasn't even there when M?m're signed it. According to Jan, this witness said he was the lover of the gay male nurse who worked for Stella. According to Jan, this witness said he witnessed the will only at his boy friend's behest. His boy friend, the male nurse, has long since died. My good friend David Amram says Jack told him that Stella saved his life. Jack drank himself to death at 47 so I don't know how anybody can say Stella saved his life. Stella herself died at 72. Unlike Amram, I lost touch with Jack after his marriage to Stella, but I remained close to Allen Ginsberg, who never had anything glowing to say about Stella. Nor did any of the Kerouac scholars who phoned me through the years. Allen characterized Stella as a "caretaker wife," a provincial who kept insisting that Jack be as provincial as she was. The various scholars who telephoned me through the years complained that Stella kept them away from Jack and that she prevented them from having access to any of his papers. Allen said she put up a wall between him and any intellectual input. After Jack's death, Paul Blake went to visit his grandmother but Stella prevented him from seeing M?m're. From personal experience, I can tell you that grandchildren are among the greatest joys of old age and I can't imagine M?m're not wanting to see her grandson. Several years ago, Sampas attorney George Tobia Jr. told me that all of Jack's papers were in the New York Public Library, where he insisted they would stay. At the party, Sterling told me that both he and John Sampas were still hoping that's where the scroll would end up. There is now little hope of that. Forty-one-year-old Indianapolis Colts owner Jim Irsay, who bought the scroll, afterwards said he wanted to "put it on display alongside the Lombardi Trophy." He said he'd been prepared to pay much more than 2.43 million dollars for it. At the West End Bar, a legendary hangout for the Beat Generation originals when they were all situated in the vicinity of Columbia, Christie's handed out an expensively printed and well written booklet telling all about the scroll and how Jack came to write it. The booklet, on slick paper, was illustrated with full-color photographs. I tried to read some of the scroll unrolled in the showcase, not an easy thing to do when looking at it sideways. I saw many sections xed out and felt dismayed by the thought that future Kerouac scholars would never be able to ponder over them to study and debate Kerouac's boast of 'spontaneous bop prosody?---in which he claimed he never rewrote or amended what he had written off the top of his head. In addition to the sections xed out, there were handwritten changes on the manuscript. The real names of all the characters?including those of Neal Cassady and of Jack himself---were in the manuscript and the part I read was about Neal being distracted in traffic while driving through Des Moines and inadvertently bumping into the car in front of his, bursting the water bag on the other car's rear bumper. I was soon distracted by the rush of people into the room, the usual suspects at recent Beat gatherings plus many unfamiliar faces. This was another EVENT for the Beat community of nowadays and I won't bore you with a list of all those I saw, except to say that Amram, a master musician, wowed the crowd by improvising a rap song he made up on the spot. After the auction, I received an email from poet Ron Whitehead quoting an e from Poet Casey Cyr. Casey, who was at the auction the next night, told Ron that Jim Irsay flew to New York with his old friend, historian Douglas Brinkley. She said the bidding war ended up being between Jim Irsay, sitting behind Casey, and "a couple in the row in front of us." "I went to the auction," Casey said in her email to Ron, "with Michelle Esrick, who asked Mr. Irsay point blank after he bought the scroll, "Are you going to share it with the world?? Jim talked about the possibility of bringing the scroll on the road (in celebration of the 50th year), and talked about the importance of sharing it with others. Jim's also a poet and guitar player who spoke of his spirituality and connection to the "beat? writers. He also said that since Kerouac was an American original, that he was hoping to buy it to keep it in the USA. And he went on at length about honoring Jack and paying tribute to him, and acknowledgment of his importance in literature. The commentary about the football trophy was something he threw in after all the other really nice things he said about Kerouac. I have a feeling that's the blurb that the media will spread around, though.